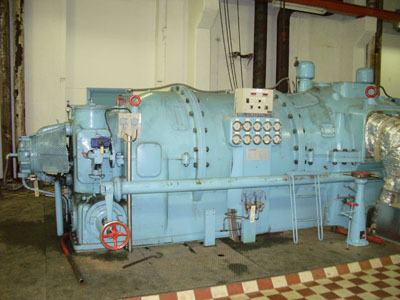 This backpressure turbine is from the beginning built 1955 by Stal Laval/ Asea and totaly rebuilt 2001 for a cost: aprox 2,2 milj. €. Everything inside the turbine and generator is totaly rebuilt. Running time from 2001: aprox 25.000 hours. Magnetism equipm. and vibration equip. new 1996. The plant was taken out of operation autumn 2006.